The Atlantic Fellows for Social Equity seek to harness Indigenous knowledge and ingenuity to create positive social change. Throughout the yearlong fellowship, the program provides the tools, resources, and connections for fellows, most of whom are Indigenous, to become deeply engaged changemakers across the Pacific region. Fellows are proven and provocative with a commitment to new forms of collaborative fellowship. Coming from a mix of backgrounds, professions and perspectives, cohorts include activists, educators, policy makers, academics, artists, cultural leaders, health care practitioners, and community organizers. The Atlantic Fellows for Social Equity supports the next generation of leaders to inspire, collaborate and provoke communities across Australia and the Pacific to flourish. 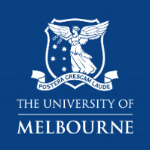 Program staff based at The University of Melbourne.